one stamp (0.56 GBP) out of a set of six stamps (only this stamp is bearing the official Sepac logo). "six stamps showcasing the virtuosity and expressive range of Archibald Knox, great Manx artist. While he is best known internationally as a designer of metalwork, through his work for Liberty’s, in the Isle of Man he is remembered mostly as a watercolourist." "The first Swiss issue was in 1957, but only since 1959 Switzerland issues Europa stamps each year." "The CEPT was founded in 1959 in Montreux, Switzerland. On that occasion the Swiss post over printed their Europa issue. This set has now an high value." "Sweden issued their first Europa stamp in 1960. 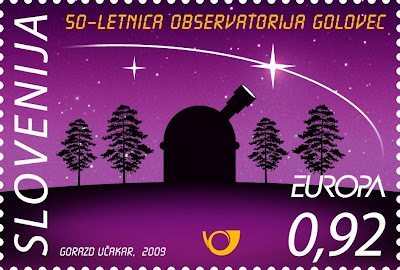 Then they waited 9 more years to issue their second Europa stamp in order to celebrate the 10 years of the CEPT, in 1969." "We had to wait untill 1974 to have the next issue, but since then Sweden took always part with 2, 3 or 4 stamps." "Sweden is famous for their roll-stamps, easily recognizable by the fact that the don't have any perforation on both sides of each stamp! They issue also most of their stamps in booklets." "Spain issues Europa stamps since 1960." "In 1962, 1963, 1965 & 1966 they didn't use the common design". "In 1972 & 1973 only one stamp of the set depicted the common design." 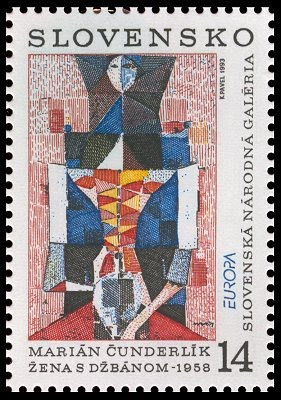 "Slovenia issued their first Europa stamps in 1993." "One year before, in 1992, their neighbor Croatia was the first former Yugoslav republic to issue Europa stamps." "Slovakia issued their first Europa stamps in 1991 as most of the other ex-communist countries of Central Europe." "In that year the stamps where still issued under the name of Czechoslovkia and this till 1993 year of the separation between the Czechs (Bohemia and Moravia) and the eastern neighbours the Slovaks to form 2 new countries Slovakia and the Czech Republic." "Slovakia issues Europa stamps since 1993 under their own name and traditionaly only one single stamp per year." "Serbia issued their first Europa stamps in 2007, but Yugoslavia issued their first Europa stamps in 1969 already, being the first Communist country to take part." "In 2003, Yugoslavia's name was replaced by Serbia and Montenego : "Srbije i Crne Gore" for the last two former Yugoslav republics how stayed together. The name was written in both Latin and Cyrillic alphabet." "Since 2007 Serbia issue Europa stamps under their own name alone." "San Marino issued their first Europa stamp in 1961." "They issued Europa stamps with their own design until 1968. Only in 1969 they started to use the same common design." 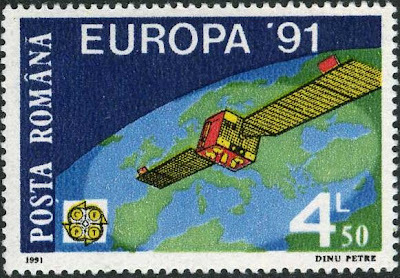 "Russia issued their first Europa stamp in 1995. The three Baltic States and Moldova issues Europa stamps before them." "Russia didn't take part at the 2007 issue with the "100 years Scouting" theme." The Monaco stamp represents a watercolour highlighting the Place de la Mairie located in the old town. Did you ever ask yourself where your stamps were printed ? We all saw in the under edge of each stamps the issue year or the name of the artist who designed the stamp but sometimes also the name of the printing house : Courvoisier - La Loupe - Joh. Enschedé - Matzoukis - the House of Questa - Printex - etc. But do you know in which country they are ? Some postal authorities have their own printing house : Belgium, Germany, Austria, Spain, Italy, etc. But most of the others must print their stamps with the help of privat printers and they are not always located in the same country ! For example the 2009 Europa stamps of Greenland, Guernsey and Norway are printed by Joh. Esnschedé in the Netherlands and the ones of Switzrland and Liechtenstein by the State printer of Austria. Azerbaijan stamps are printed in France by Cartor so did Portugal and Jersey. But some Europa stamps aren't even printed in Europe ! So the Faroe Islands and the Isle of Man decided to let their Europa stamps being printed in Canada by the Lowe Martin Group and Slovenia have their Europa stamps being printed in ... Bahrain ! We are in the middle of globalization and liberalized markets ! "As many other former communist countries, Romania issued their first Europa stamps in 1991. Since then they issue two stamps each year and many souvenir sheets." The stamp shows the well-known “Chapel of St. Mamerta, Triesen”, which is preserved as an ancient monument. The Chapel of St. Mamertus, which stands on a plateau above the village of Triesen and is named after St. Mamertus, the patron saint against earthquakes, conflagrations and landslides, dates in its original form from the 9th or early 10th century and is thus Liechtenstein’s oldest chapel. The distinctive tower is however of more recent origin. It is thought to have been erected only in the 15th century. The building fragments within the 90cm thick curtain wall suggest moreover that the original building may also have served as a dwelling. Possible occupants could have been the legendary “Noblemen of Trisun” (13th/14th century), who were in the service of the Counts of Montfort-Feldkirch and from whom the name of the village and the coat-of-arms also derive. The Chapel is also one of the most frequently pictured symbols of the Oberland (alongside Vaduz Castle and Gutenberg Castle). Like the SEPAC 2007 stamp this stamp is based on a photograph by Marco Nescher.